I crossed the Bridge of the Gods over the Columbia River and into Oregon yesterday. Washington has been much colder and wetter than expected, but that helped keep the bug activity down and there have been some sunny breaks for mountain viewing. It seems Washington weather is more often cloudy and drizzle than an all out rain. 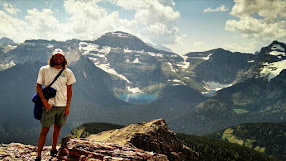 I've been fortunate to meet many nice people on and off trail. I started meeting a slow trickle of fast northbound hikers just south of Snowqualmie. Overall Washington has been a delight! 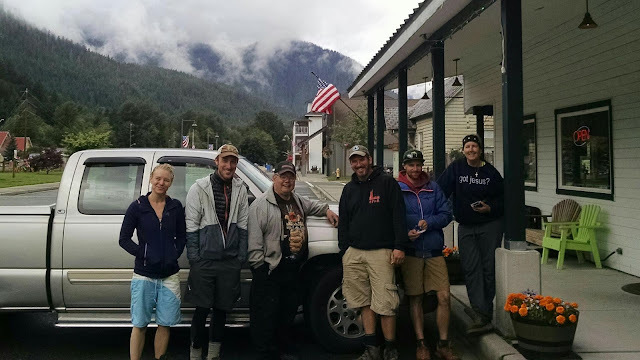 The gang at the Dinsomore's Hiker Haven in Skykomish outside the Cascadia Inn, the local breakfast spot. About 200 miles of hiking done so far. The first five days of hiking south to Stehekin were amazing with beautiful weather, stunning snow capped mountain scenery and tolerable bugs. The last six from Stehekin to Stevens through the Glacier Peak Wilderness were more challenging with cold and wet weather conditions, some snowy passes, overgrown trail, and limited views. Wet feet for 6 straight days and finally started getting some blisters. 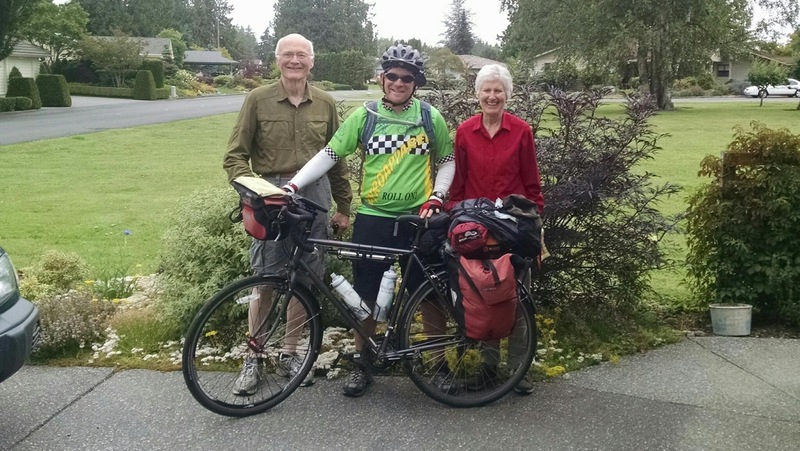 Don and Pat, Warm Showers hosts, with cyclist, Penn, who put me up north of Seattle and drove me up to the East Bank Trailhead.